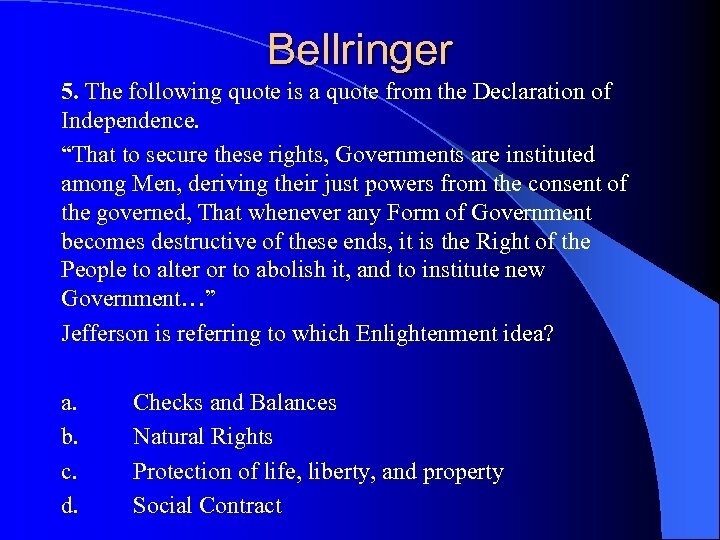 Bellringer 24. 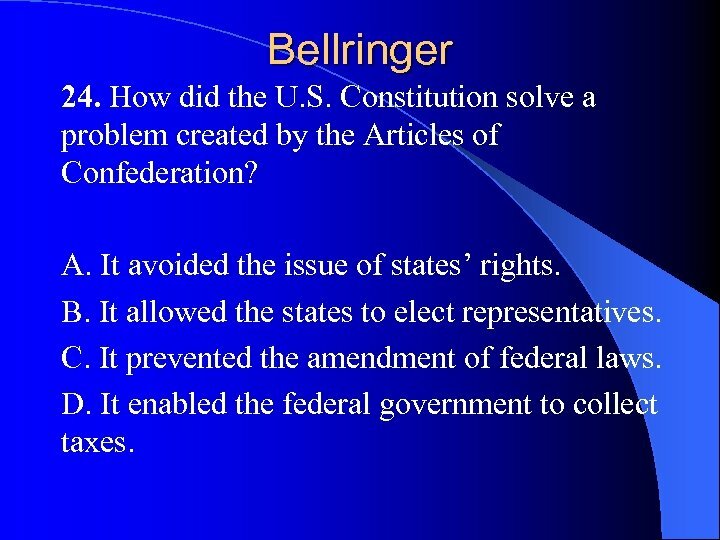 How did the U. S. Constitution solve a problem created by the Articles of Confederation? A. 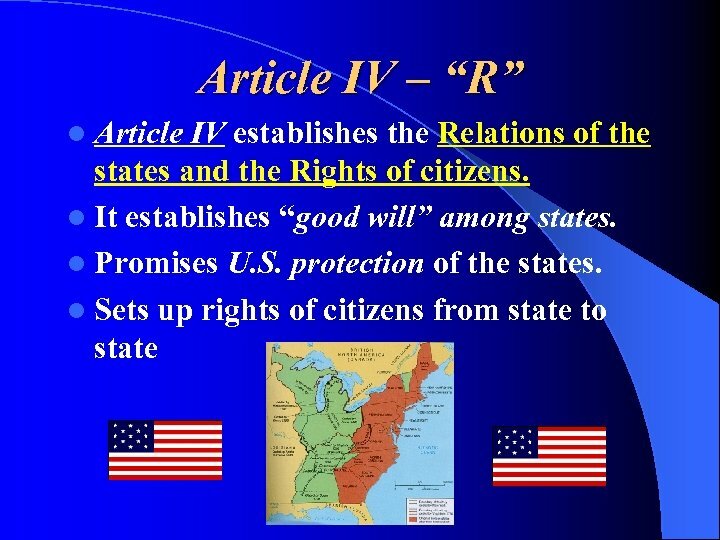 It avoided the issue of states’ rights. B. 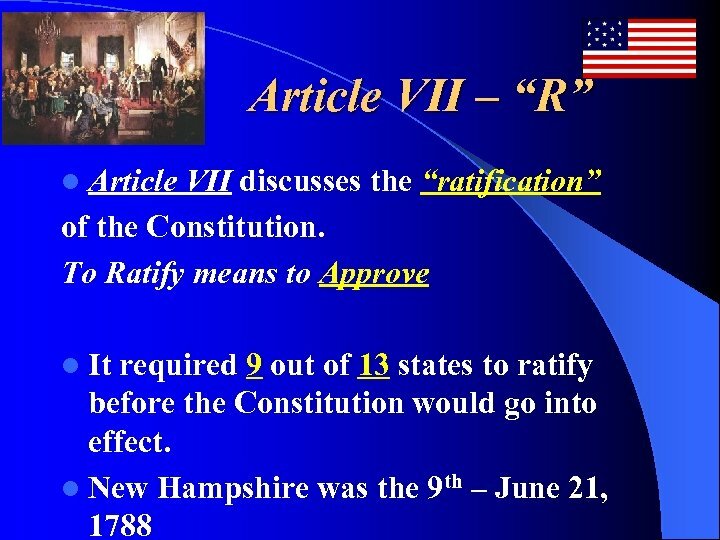 It allowed the states to elect representatives. 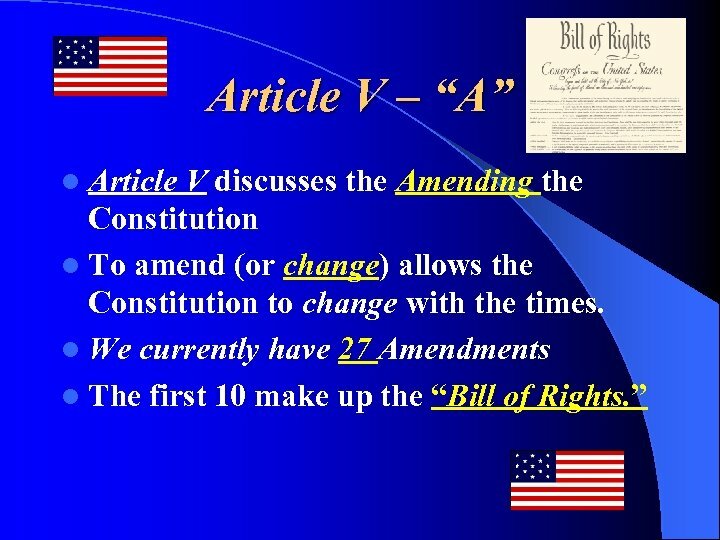 C. It prevented the amendment of federal laws. D. It enabled the federal government to collect taxes. 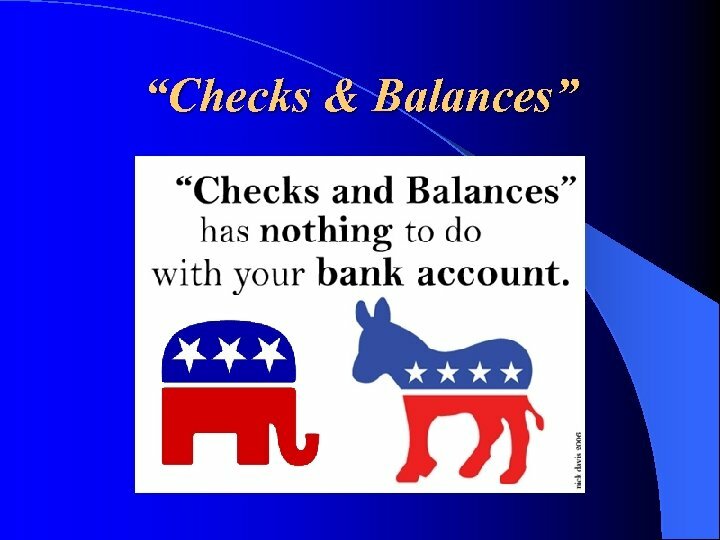 “Checks & Balances” l This process is used to keep any one branch from becoming too powerful. 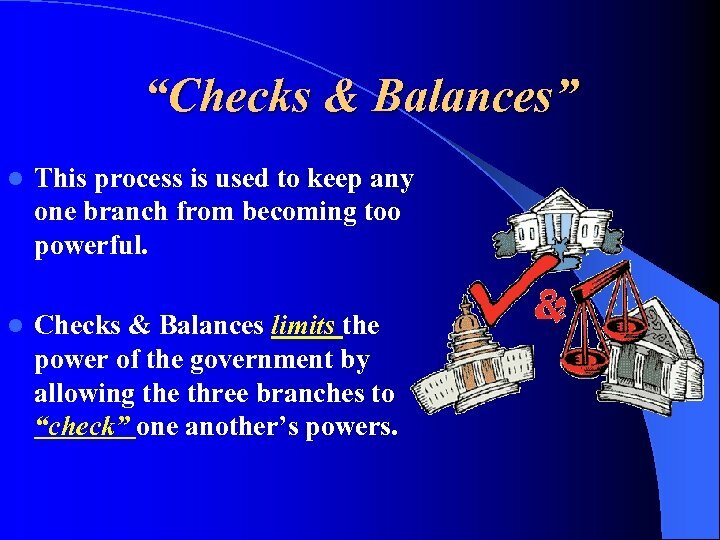 l Checks & Balances limits the power of the government by allowing the three branches to “check” one another’s powers. 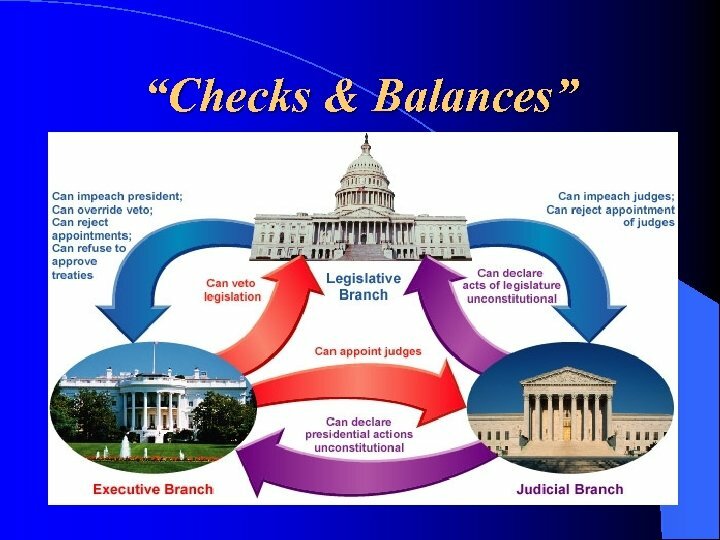 “Checks & Balances” l The House can check the President with their power to impeach. 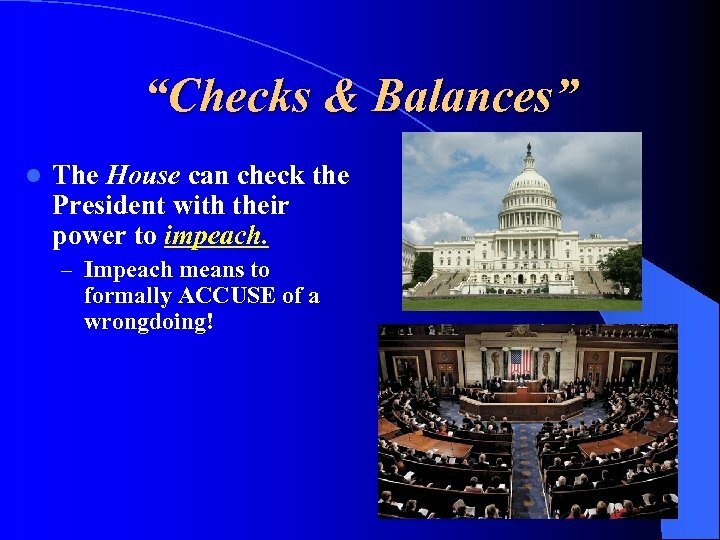 – Impeach means to formally ACCUSE of a wrongdoing! 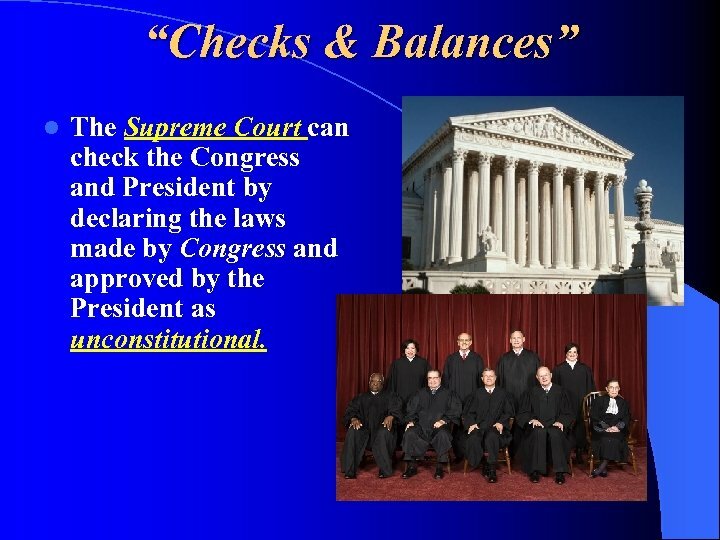 “Checks & Balances” l The Supreme Court can check the Congress and President by declaring the laws made by Congress and approved by the President as unconstitutional. 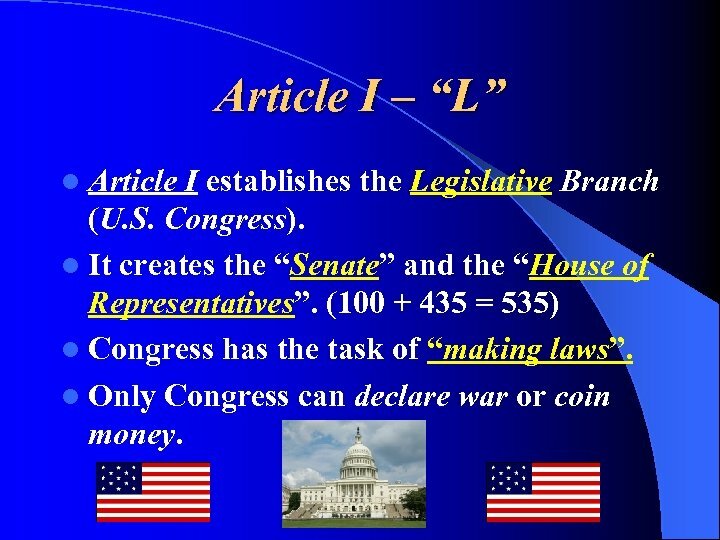 Article I – “L” l Article I establishes the Legislative Branch (U. S. Congress). l It creates the “Senate” and the “House of Representatives”. 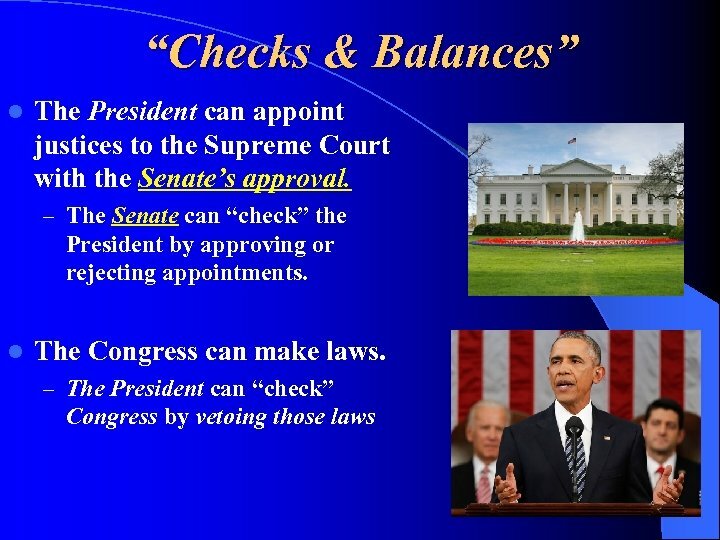 (100 + 435 = 535) l Congress has the task of “making laws”. l Only Congress can declare war or coin money. 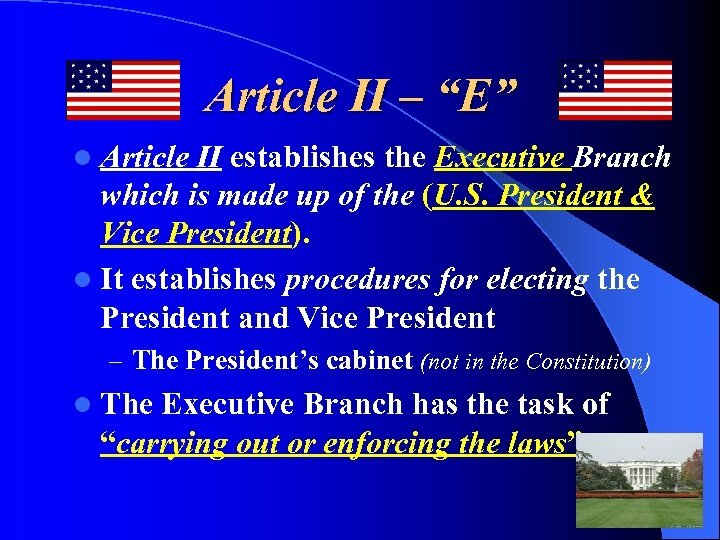 Article II – “E” l Article II establishes the Executive Branch which is made up of the (U. S. President & Vice President). l It establishes procedures for electing the President and Vice President – The President’s cabinet (not in the Constitution) l The Executive Branch has the task of “carrying out or enforcing the laws”. 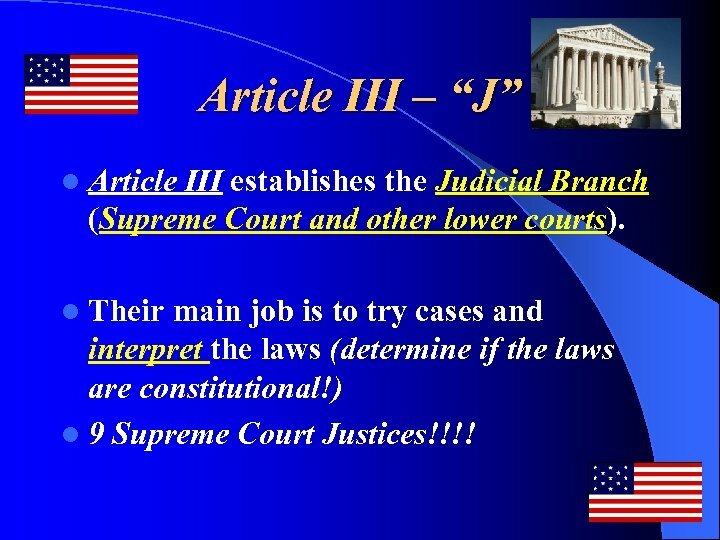 Article III – “J” l Article III establishes the Judicial Branch (Supreme Court and other lower courts). 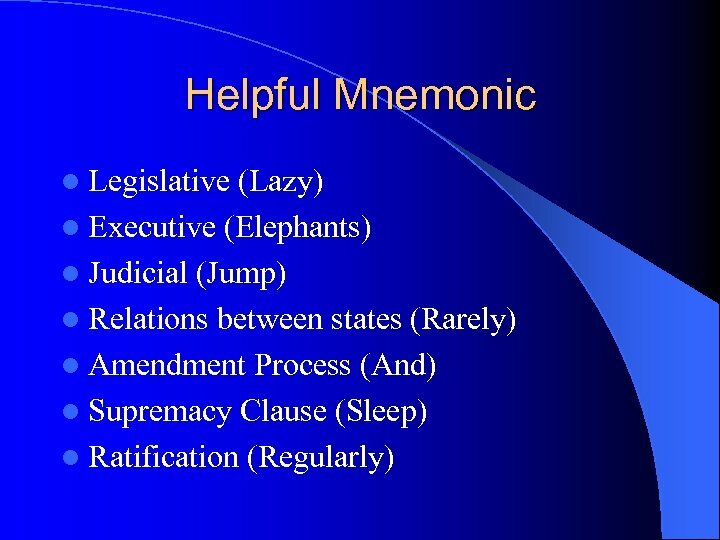 l Their main job is to try cases and interpret the laws (determine if the laws are constitutional!) l 9 Supreme Court Justices!!!! 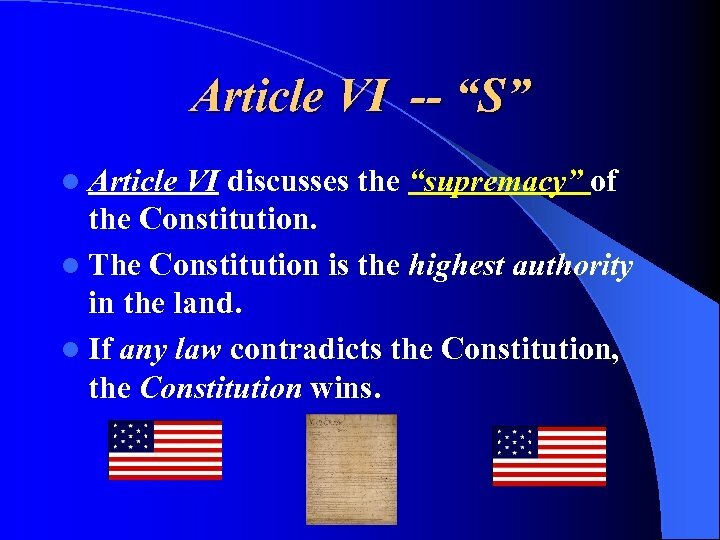 Article VI -- “S” l Article VI discusses the “supremacy” of the Constitution. 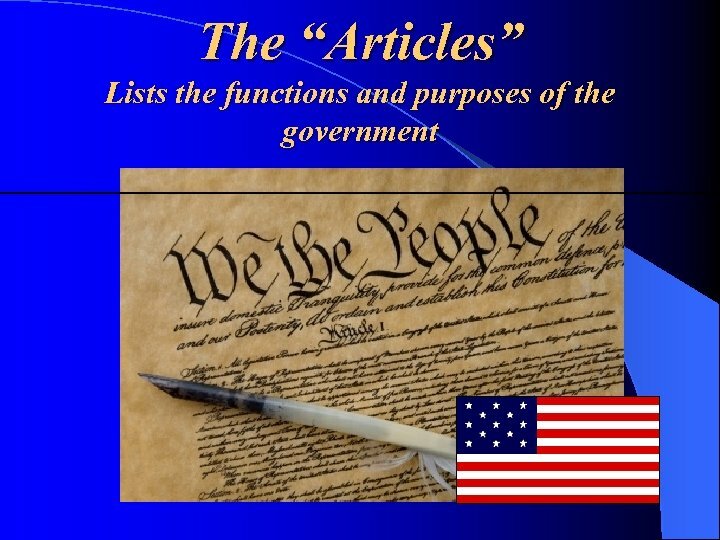 l The Constitution is the highest authority in the land. l If any law contradicts the Constitution, the Constitution wins. Family Life What is a family?